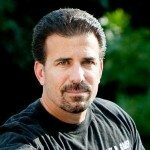 When most of my new clients desire to retain a motorcycle accident attorney, they do so because they want an attorney who has handled thousands of motorcycle accident injury lawsuit settlements and has the tools and the know-how to ultimately move the case toward a quick and efficient settlement. Sounds reasonable, and for my firm, which has been handling motorcycle accident cases since 1991, it usually is. The reason we are able to resolve cases quickly with a fair motorcycle injury settlement is a combination of experience and legal know how, which puts us in a unique position to settle serious motorcycle accident claims. I often tell new clients that his or her case is not our first rodeo and as such we know exactly who to contact to ensure that the medical bills get paid, the lost wages reimbursed, the bike totaled or repaired and all personal items such as cell phones, helmets, boots, etc. that were damaged or destroyed, get reimbursed or replaced. However, realistically the reason most clients want to hire us is because we ride and they feel a certain camaraderie with us. They know we will show them the respect they want and deserve and will use all of our experience to resolve their injury claim. I recently had a client in a terrible Pennsylvania motorcycle accident and a family member contacted me and retained my motorcycle accident firm. Once we received the necessary signed paperwork we set out to resolve the claim. Without going into too much detail, we eventually reached a motorcycle injury settlement in this case for several hundred thousand dollars, which was the full extent of the insurance proceeds on the driver that caused the accident, and our clients underinsured motorist coverage. All was fine, until unexpectedly the client felt that we moved to quickly in settling the case, even though we had proven to him that no matter how long it took – 2 months or 2 years – we had recovered all of the money we were ever going to recover. So, despite our doing our job to the best of our ability the client was not happy, even though it was better than typical motorcycle injury lawsuit settlements. As an experienced Pennsylvania motorcycle accident lawyer, I am mindful that despite the outcome, you can resolve a claim too quickly. Clients that are seriously injured in a tragic motorcycle accident need time to deal with the stress of what happened to them. The issue we have is really more of an ethical one. Once an offer is made, especially a “policy limit tender” offer, and is accompanied by a sworn affidavit from the responsible party attesting that there are no additional insurance policies available to cover the motorcycle accident, we as motorcycle attorneys must communicate the offer to our clients. If we don’t, we face consequences from the ethics review board. This also applies to offers made from our clients’ own insurance company in the form of underinsured motorist benefits. Many clients are not aware that if their private medical coverages paid the medical bills, they are often entitled to be repaid a portion of whatever they paid out. 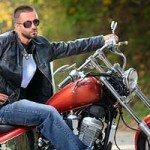 Bottom line is, you must realize that as your motorcycle attorney’s, we are bound morally and ethically to work to resolve your Pennsylvania motorcycle accident claim for the most money available without ever prejudicing your rights; and lets not forget, the more money we can recover for you, the more money we obtain for our law firm. Finally, in our office, we we never agree to motorcycle injury lawsuit settlements without your agreement, as ultimately you are the boss! If you would like additional information on motorcycle injury settlements in PA or NJ, Lee D. Gaber, Esquire, the “Cycle Attorney” can always be reached at 888-292-5352 (888-CYCLE-LAW) 24/7.